Sometimes an album just takes a while to soak in, doesn’t allow for easy summarization. After multiple listens, I’m not sure I’ve really got a handle on From Two Balconies. This group seems to be going in multiple directions at once, which leads to some difficulty assigning them an identity. EchoTest began as a collaboration between two bassists: Julie Slick and Marco Machera. They released a duo album in 2014, then recruited other musicians to form a full band. For Le Fil Rouge (2015), Tobias Ralph handled drums on all but one track, and Mike Visser (guitar), Eric Slick (drums), and Sarah “Flossy” Anderson (violin, viola) made guest contributions. This time out, drums are handled by Alessandro Inolti, and the guests include Visser and Anderson along with numerous others on brass, guitars, vocals, drums, and keyboards. One side of the band consists of prog-leaning songs that are not far from other modern progressive bands taking after Porcupine Tree. There are many nice touches in these tracks, often centered on the massive bass parts, but also including interesting little quirks of arrangement, production, and programmed rhythms. There are some great guitar parts as well, some of which may actually come from Slick’s six-string bass — more power to her! — or something else. There are also some more atmospheric parts to the album, leaning towards something like Kaukasus and some of the other Scandinavian bands of recent years. Other parts are more experimental, leaning towards King Crimson territory, and one track features heavily processed piano and vocals from Claire Wadsworth — probably the most left-field part of the album. Then there’s “Radio Sayonara,” a kind of New Wave or post-punk song that features the monumentally annoying feature of spelling out the title as a major part of the lyrics. Maybe that’s a petty peeve of mine, but I hate lyrics like that, especially when it’s so many letters. A pity since it’s otherwise a good track. Lastly there’s a long, ambient stretch that is really tasty, but seems out of place here. 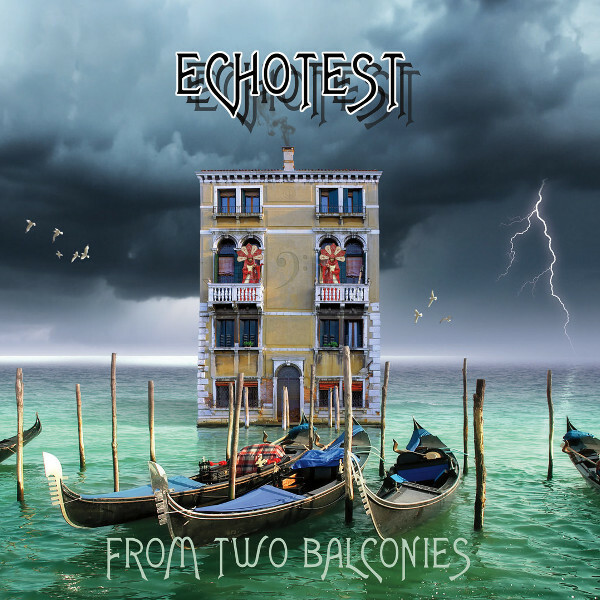 In the end, From Two Balconies is a really good album with maybe a little too much variety for its own good. I look forward to the band finding ways to integrate their different facets into a more coherent whole. I’m all for not sounding the same on every track, but more balance would be welcome — and certainly almost every part of this album is great on its own.